Our Patient & Prisoner Watch Service is a 24 hour, 365 day a year service that provides courteous, respectful and professional patient and prisoner watch services for the law enforcement, health & human services, conservatorships and medical communities. 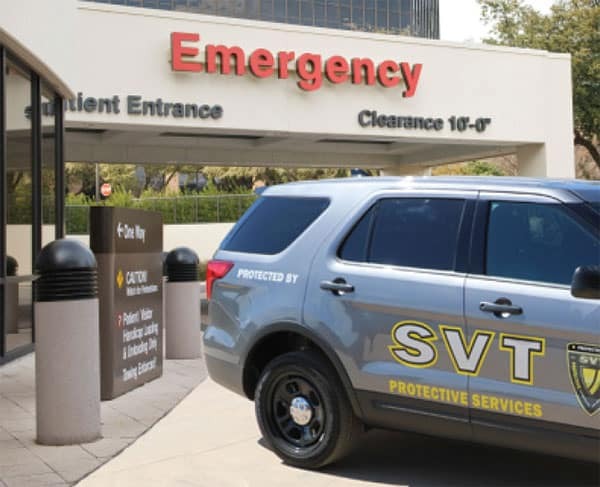 In the event that you have a patient or prisoner that requires monitoring (from low risk to high risk), SVT will provide highly trained Officers (including available Armed Officers as your needs dictate) dispatched to your required location. Our service ensures that you, your staff and your employees will avoid potentially dangerous situations and will not be burdened with extra duties.